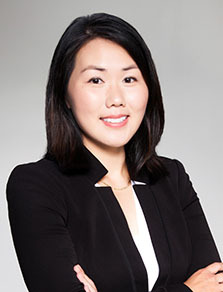 Helen Chong, a magistrate in Orange and Woodbridge, has been named the recipient of the Virginia State Bar Young Lawyers Conference 2015 R. Edwin Burnette Jr. Young Lawyer of the Year Award. The award recognizes a young lawyer who demonstrates dedicated service to the conference, the legal profession, and the community. It is named in honor of Lynchburg Judge R. Edwin Burnette Jr., past president of the VSB (1993-1994) and the YLC (1985-1986). The award will be presented on June 18, 2015, at the Virginia State Bar Annual Meeting in Virginia Beach. Chong is chair of the Children and the Law Commission, and co-chair of Community Law Week for the VSB Young Lawyers Conference. She graduated from the University of Virginia in 2006 and the George Mason University School of Law in 2011. In 2012, she began a state-wide anti-bullying program after she saw a need to help children and parents address the criminal and mental health impacts of cyberbullying. She held a presentation at Charlottesville High School in 2013 that received recognition from the American Bar Association, and later expanded the anti-bullying program with additional presentations in Virginia and created a cyberbullying pamphlet for parents.